The Can Miquel restaurant is blessed by a privileged natural and historical environment. A good example of this is the ruins of Empúries, which are a part of the Museum of Archaeology of Catalonia. Won’t you come visit it with us? 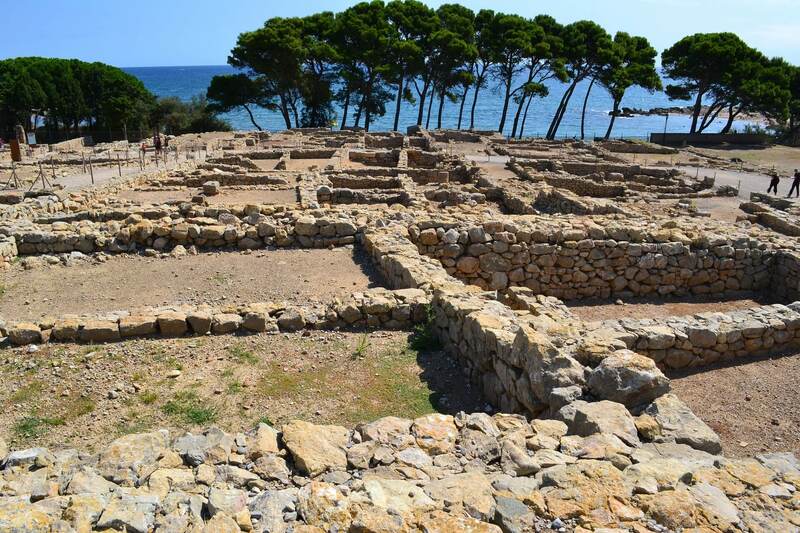 An essential on the Costa Brava, Empúries was the entrance point of Greek and Roman culture in the Iberian Peninsula. This archaeological site contains the remains of a Greek city -the colonial enclave of Emporion- and of a Roman city -ancient Emporiae, founded in the early 1st century BC on the foundations of a Roman military camp that had been established during the previous century. You cannot miss the mosaics in the old villae, the sculpture of Asclepius or the imposing Roman forum. In fact, a number of highly interesting guided tours are organized from the MAC-Empúries museum. Excavations began in 1908, and since then scientific recovery has been carried out at a constant rate. Within the site you can visit the Greek city, the Roman city and the museum of archaeology. From October 1 to November 15: Mondays through Sundays from 10 AM to 6 PM. From November 16 to February 15: Tuesdays through Sundays from 10 AM to 5 PM. From February 16 to May 31: Mondays through Sundays from 10 AM to 6 PM. From June 1 to September 30: Mondays through Sundays from 10 AM to 8 PM. Special schedules: The museum closes at 3 PM on the 24th, 26th and 31st of December. Closed: the museum closed on December 25, January 1 and on Mondays from November 15 to February 15. Normal admission to the site costs 5 Euros (4 Euros for seniors aged over 65 and for young people aged 8 to 25; admission is free of charge for children under 8) and it includes the visit to the archaeological site and the museum and an audio guide for individual visitors. After the visit, a good option would have to be a Catalan meal at the Can Miquel restaurant, a little oasis in Cala Montgó in l’Escala where you will find expertly prepared Mediterranean cuisine made from locally-sourced products. What are you waiting for to book a table at Can Miquel? Do not forget to taste our rice dishes, one of the main specialties of our 100% Mediterranean restaurant.